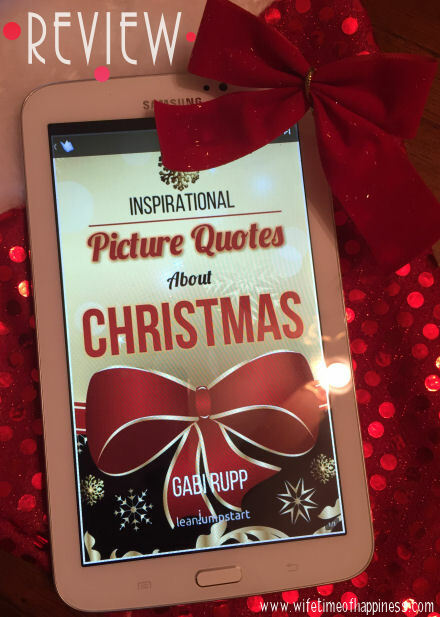 This month I was contacted by Gabi Rupp – The author of inspirational picture quote books. I couldn't have been happier when asked to join her review team! Join me now for my review of Inspiration Pictures and Quotes about Christmas! Seeing as Gabi gave me the choice of which book I would like to review first, I jumped at the chance to read Pictures and Inspirational Quotes about Christmas. Christmas may have come and gone and we are now well on our way for preparing to ring in the New Year – But I still longed for that Christmassy feel that swept right past my husband and I this season. The house had been organized from top to bottom this morning (something I am normally on top of, but seemed to let go these past few weeks), I have picked out a few Christmas recipes I am determined to still make and tonight I wound down with a wonderful Christmas book. About Gabi Rupp: Author Gabi Rupp is a dynamic professional whose greatest desire is helping others achieve healthier lifestyles. Description: Inspirational Picture Quotes about Christmas is a beautiful combination of photography and timeless wisdom. As the 10th edition in a series of Picture Quotes books it is written for the lover of visually appealing motivational quotes. 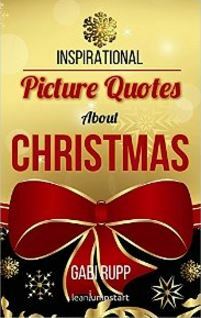 Whether for your personal library or as a Christmas gift, Inspirational Picture Quotes about Christmas is an excellent way to bring a little joy to all! This entry was posted in Book Reviews, Christmas, Kindle Downloads, Positive Living and tagged cheerful christmas quotes, Christmas Books, christmas pictures, christmas pictures and quotes, christmas quotes, Gabi Rupp, inspirational christmas quotes, inspirational quotes, picture quotes, quotes for christmas.